They were joined by 203 Marines who had guarded the American Embassy in China, including William Howard Chittenden, who had been stationed in Beijing. It was at that camp that Chittenden acquired a chess set. There was no way of knowing at the time, but Chittenden and the set would become separated from each other, ultimately setting off a story that spans 68 years and thousands of miles. There is a scene in The Great Escape, the classic 1963 film about American and British POWs in a German camp, in which James Garner and Donald Pleasence discuss the art of forgery over a game of chess. The scene is brief and although chess is not the focus, it poses an interesting question: how does a POW acquire anything at all, let alone a chess set? In Chittenden’s case it was quite simple. One of the 800 civilian POWs in Woo Sung spent his time carving chess sets. It did not take long for word to spread through camp that he was selling the sets for 20 packs of cigarettes. Chittenden, a non-smoker, collected the 20 packs and purchased the pieces. 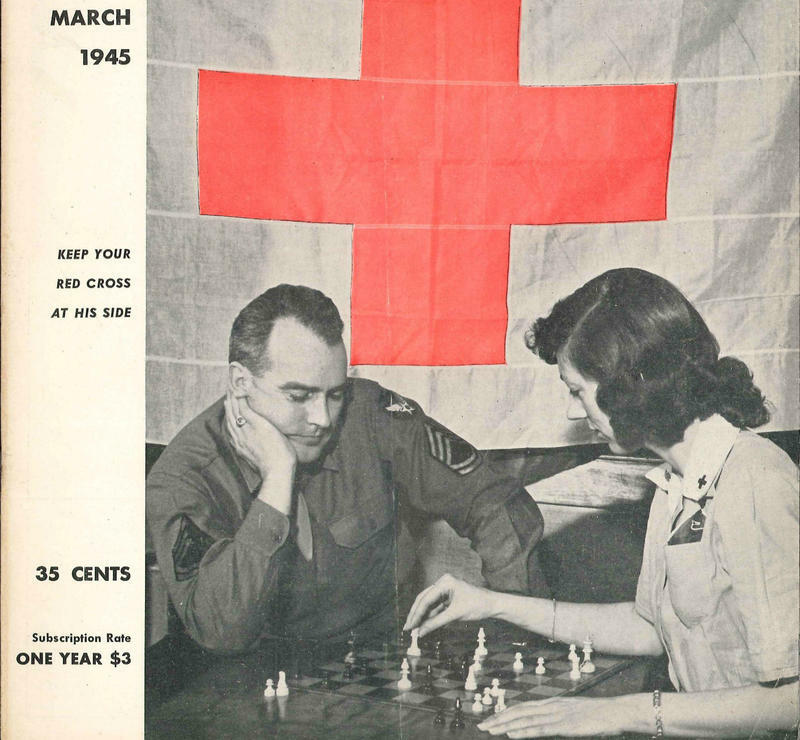 The set helped pass many hours, but in August 1943 Chittenden and his chess set parted ways. The Japanese sent 300 POWs from Kiangwan (Chittenden’s second camp) into the heart of Japan to aid with their war effort. Chittenden was one of the 300 forced to go. Not wanting to travel into the unknown with his cherished set, he handed it off to his close friend Sgt. Vic Ciarrachi. The two soldiers promised to meet upon the war’s end to reunite Chittenden with his set. In November 1945, the two met in Springfield, Ill., but Sergeant Ciarrachi didn’t have the pieces. He explained that toward the end of the war he was shipped to the Japanese island of Hokkaido to work in the coal mines. In preparation for his journey, he packed the set in a box of gardening tools. The tools made it to Hokkaido but stopped at Akahira #2 coal camp, just two miles short of Sgt. Ciarrachi who was at Utashinai #3 coal camp. Happenstance brought a third Marine, Platoon Sgt. Thomas R. Carpenter, into the mix. He was being held on Hokkaido at Akahira #2 coal camp. In a box, among an array of gardening tools, he found the small green tea tin that housed Chittenden's set. 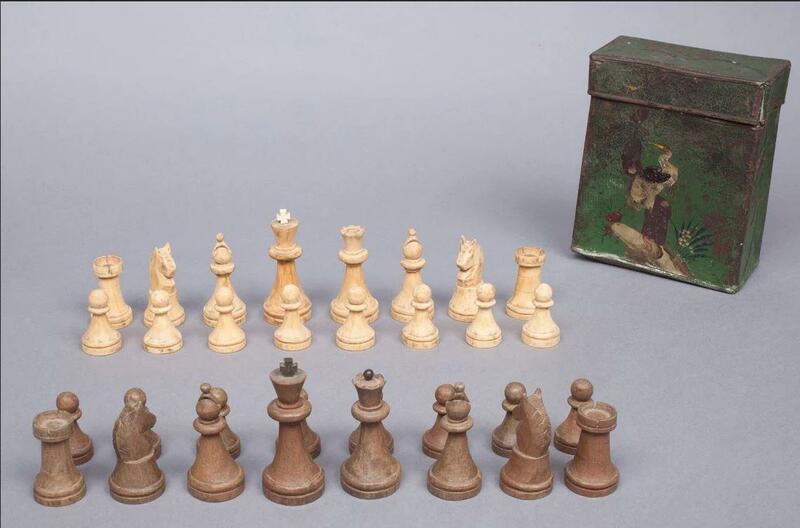 At the conclusion of the war, upon his liberation, Carpenter traveled back to America with chess set in stow. He kept the set and tin among his other World War II mementos at his home in California until his death in 1983. Carpenter’s son Peter, a Marine veteran, inherited the set. 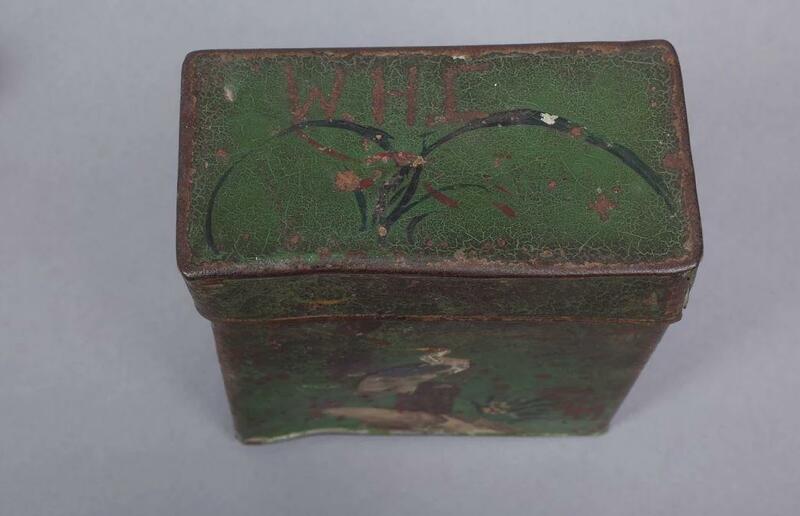 It was his keen eyes that caught sight of the barely legible initials carved into the army green tea tin. With a little help from the internet, Peter Carpenter was able to track down Chittenden. In 2012, nearly 70 years after losing his pieces, Chittenden was reunited with his chess set. Chittenden’s interest in chess was in no way unique. The game was used in WWII for many reasons, from passing time in POW camps or on the war front, to use as an aid in recovery for wounded soldiers. 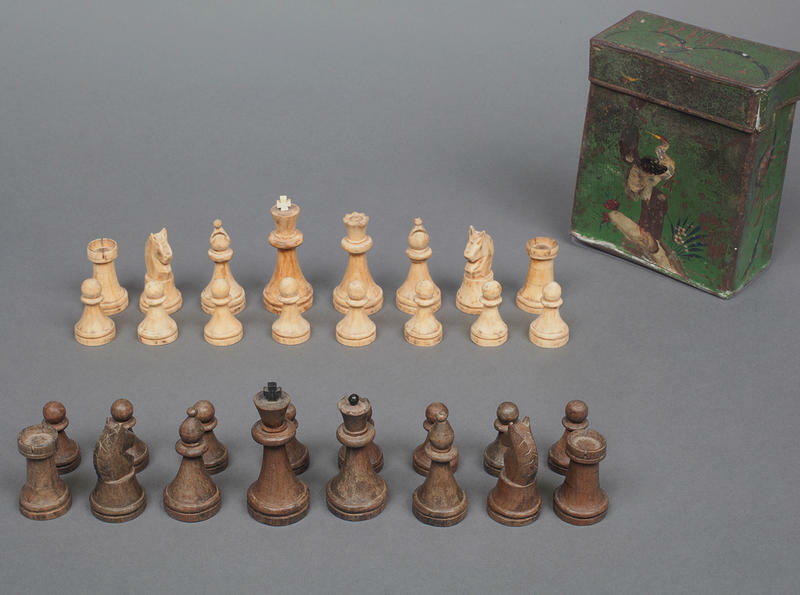 This month, the World Chess Hall of Fame features a chess set from Ryan Morgan who collected sets in his travels with the Navy. He picked up this set in Manama, Bahrain, on June 17, 2002. These ideas and more are explored in the exhibit Battle on the Board, which runs through Jan. 17. Be sure to check it out while you still can. Click here to keep up with future exhibits and events hosted by the World Chess Hall of Fame. Brian McCulloch is a senior gallery attendant and blog contributor at the World Chess Hall of Fame in the Central West End. On Chess is courtesy of the Chess Club and Scholastic Center of St. Louis.